Google just dropped the Nexus Player to $79 ($20 off) on the Google Store. At $99, this first Android TV device was already priced reasonably well, but at $79, you are venturing in to impulse buy territory. If you don’t already own a Chromecast or Fire TV product, this is worth consideration should you want to make that TV of yours a little bit smarter. Just keep in mind that NVIDIA has its SHIELD unit on the way, and it should be quite the little gaming powerhouse. 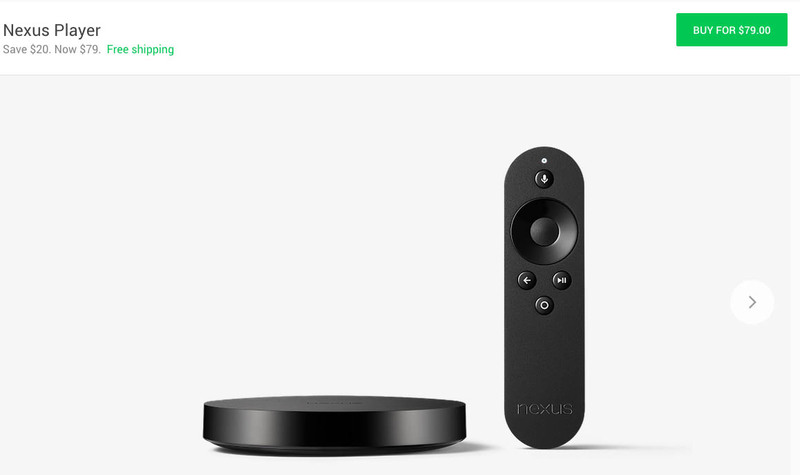 As a recap, the Nexus Player is Google’s first Android TV product. This isn’t Google TV, but similar. You connect the Nexus Player to your TV through HDMI, then get a full TV UI that features Google Play, your favorite streaming services, games, and casting capabilities, which means this is like a Chromecast on steroids. You also get a little smart remote with voice search, so that you don’t have to use those really difficult-to-maneuver on-screen TV keyboards.